This Blain Air Permeability Apparatus, provided by us, is high in quality and as per IS: 5516. 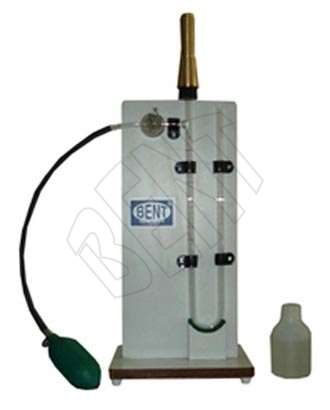 Blain Air Permeability Apparatus is used for determining the fineness of cements, pozzolonas and other powders materials. The clients can avail the Viscometer Apparatus from us at discounted prices. Permeability cell 12.5mm inner dia.